Chief Olusegun Obasanjo has denied that he warned President Muhammadu Buhari against seeking re-election in 2019. Obasanjo who was reacting to the report credited to his former Chief Press Secretary (CPS), Alex Nwokedi, in an on-line publication; Post Nigeria,on Saturday, described it as completely false and destructive. Obasanjo, in a statement issued by his Media Aide, Kehinde Akinyemi in Abeokuta on sunday, said there has been no communication between him and Nwokedi in the last three years, and wondered why any news would be attributed to him, as published by the on-line publication. He said “My belief is that democracy allowed for anybody including President Buhari for that matter to contest any election and it is the prerogative rights of Nigerians to vote or not to vote for them. “I have not communicated with Alex in the last three years, so how could a story be credited to me, when I did not authorize such or communicate with him in the last three years? 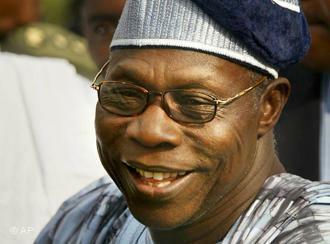 Obasanjo queried. He further said “not even me, can advise my children not to seek for elective post. It is part of freedom of democracy. Obasanjo said that he is still committed to the peace and progress of the country’s democratic development, which he assures would bring relief in no distance future with patience and understanding of the country’s masses.